Just like any other athlete, it’s important that we be conscious about how we are fueling our bodies. The stereotype of the stick-thin waif who dines on lettuce leaves and cigarettes is long gone, and as our field becomes increasingly physical, so too must our fitness and nutrition. I can be quite crafty in the kitchen! While you might ordinarily associate my column with dance injuries, pedagogy and miscellaneous ramblings about technique, one of my favorite hobbies is cooking. Dancers are constantly on the go, so we need quick and nutritious meals that can be prepared fast, and/or ahead of time. Since it’s important to begin your long days of class and rehearsals with a good breakfast (and since strawberries are in season right now), it’s only appropriate that I share with you my favorite smoothie recipe. I drink one of these beauties every morning, and should you choose to do the same you’ll never go back to a bowl of cereal. 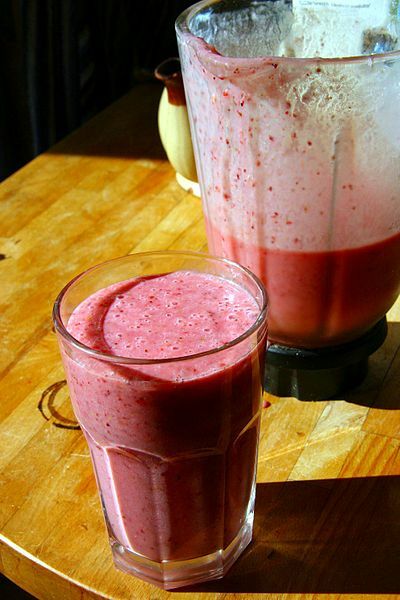 Place all ingredients in the blender and puree until smooth. Pour into a glass or travel cup and sip through a straw! * You can use fresh fruit, but if you do plan on adding a few ice cubes to make it cold and smooth. Better yet, buy fresh fruit in season, wash it, and freeze it yourself! What’s your go-to quick and easy breakfast? Ready for more, Lauren! 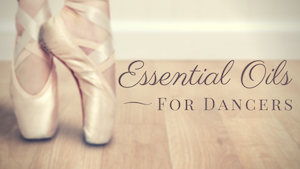 Looking forward to reading more in The Fit Dancer series! Mmmm! Sounds great Lauren! I make smoothies myself–favorite one is skim milk, chocolate protein powder and frozen cherries–sometimes with a splash of oj….it’s delicious!